What is CliniCare RF Liquid Cat Food? 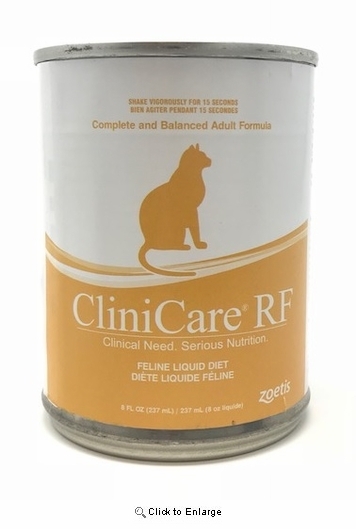 CliniCare RF Liquid Cat Food is the first and only complete and balanced liquid diet thats ready to use when your patients need it most. Who is CliniCare Liquid Cat Food for? How is CliniCare Liquid Cat Food used? 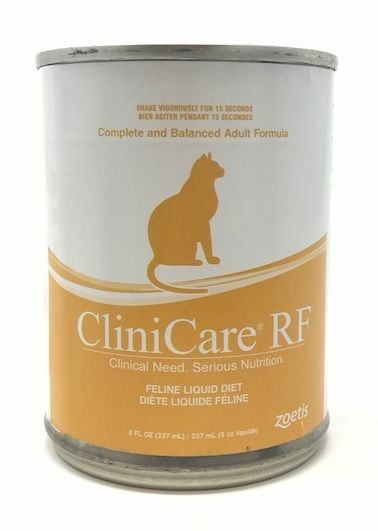 CliniCare RF Liquid Cat Food is specifically formulated to provide reduced levels of protein and electrolytes and is ideal for renal or liver impaired patients. Nutritionally balanced with essential vitamins and minerals, CliniCare is made from food grade and pharmaceutical grade ingredients. Versatile for tube, oral syringe or bowl feeding. An ideal choice for critically ill or recovering patients. Specially formulated to increase caloric intake for optimal recovery. How much CliniCare Liquid Cat Food do I get?